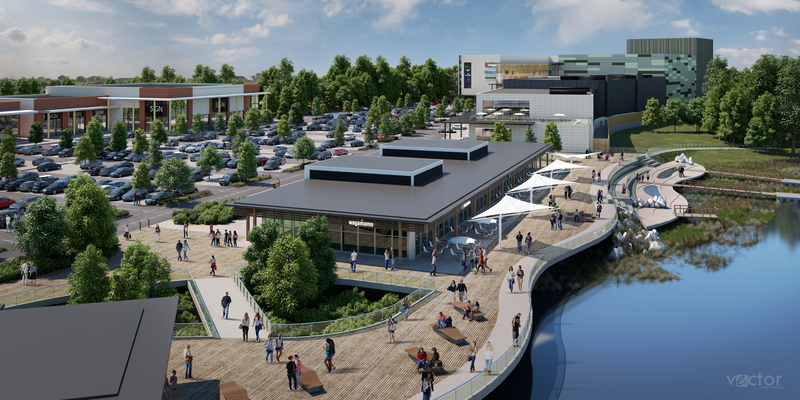 Planning is pending on this exciting new leisure and shopping destination for LXB Retail Properties which is central to a wider £50m investment at Rushden Lakes in the Nene Valley, Northamptonshire. The proposed development includes a 14 screen cinema, 380,000 sq.ft. of retail including 36 shops, 18 restaurants and 1900 car parking spaces and is predicted to create over 3,700 jobs. This dynamic scheme has been designed to integrate sensitively into its context and landscape, creating a sense of place within Rushden.